EXCERPT: On Craig Buhler’s most recent release Skykomish, the multitalented reed player has taken a group of wide-ranging popular songs and deftly given them significantly altered arrangements to achieve predominantly wonderful results. His intelligent end products never fail to be both interesting and provocative. As an added treat, Skykomish also includes two well constructed and instantly likable Craig Buhler new compositions. This recording should fascinate anyone who has an open mind combined with a passionate interest in quality instrumental pop/jazz textures. Craig Buhler’s Skykomish album is a perfect example of how to mix great originals like “Roll Over Redmond” with classic covers like “What A Fool Believes” without confusing the listener. The range of songs on this album is immediately desirable to jazz disc jockeys in any market. 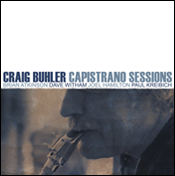 On Capistrano Sessions(Discernment Music, 2007), saxophonist/arranger Craig Buhler boldly updated the sound of West Coast Cool, effectively making him the heir proper to composer Marty Paich. Buhler tempers his grip on said inheritance with Skykomish, an effort to add to the new book of jazz standards while suggesting two of his own. An “everyman” musician, he is involved in recording, performance, education, church and local activities in his North West community of Sequim, Washington, where he lives with his wife Molly, their five cats, and Benny Good Dog. It just doesn’t get any more familiar than that. The music he composes and arranges is equally as familiar and homey.And arranges he does. Save for Buhler’s two blues charts (“Roll Over Redmond” and “Skykomish Shuffle'”) the remaining ten pieces are derived from modern popular music of the adult contemporary variety. “Eleanor Rigby” has been a staple of jazz artists for years, as witnessed on The Crusaders’ version from Scratch(MCA, 1975). Buhler puts a softer and rounder West Coast spin on the piece, giving it a jazz soundtrack quality. Michael McDonald’s “What a Fool Believes,” Gordon Lightfoot’s “If You Could Read My Mind” and “Flashdance (What a Feeling)” are transformed by Buhler’s intelligent arrangements. Though popular songs, this trio resists reinterpretation as Buhler overcomes this resistance by giving the songs a soft exterior cloaking with devilishly clever and complex arrangements. Educator that he is, Buhler plays all order of reeds. The opening “Roll Over Redmond” has Buhler soloing on baritone saxophone. He explores Babyface’s “When You Believe (Prince of Egypt)” with his tenor, accompanied by Jamie Findley’s round guitar tone. “If You Could Read My Mind” sports an “arranged” improvisation that is pure West Coast conception. Pianist Karen Hammack has a decided churchy bend to her playing, while vibist Brian Atkinson adds a bit of the islands. Buhler chooses the baritone again, channeling Gerry Mulligan into this century and pulls out his clarinet on “Flashdance (What a Feeling)” giving a nod to New Orleans by way of Los Angeles. While Buhler in no way hides his lamp beneath a basket, he deserves several more measures of recognition than he has received. Skykomishis an exceptional medium-sized ensemble recording. Not quite a combo and not a big band, these “tween” groups can only be arranged by masters such as Buhler. 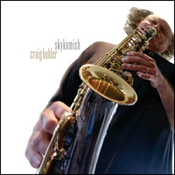 The jazz created by Craig Buhler goes everywhere from blues to gospel to pop and soul, and he covers all of this and more in a very well-rounded album called Skykomish. If you are to base your opinion of the album with “Roll Over Redmond” (the opening track), you might think Buhler is a traditionalist, taking it deep into its roots, but then hear him play a cover of The Doobie Brothers‘ “What A Fool Believes” and you’ll think differently. Think smooth jazz in a big band setting, soft and delicate but not overly doughy, and then hear him do a solo at around the 1:45 mark, and it’s as if he’s auditioning for the Doobie Brothers circa 1979. Jazz artists have been tapping into the Doobie catalog in recent years, specifically the Michael McDonald-led era, with “What A Fool Believes” being covered more often. This version is one of the best I’ve heard. What will also turn some heads is his take of Stevie Wonder’s “Creepin’”, fans of the original will love Buhler’s arrangement and sample-junkies will definitely find an element or two for the taking. Another interesting performance is his cover of Foreigner’s “Waiting For A Girl”, and if you didn’t pay close attention you might not realize that it is that early 80’s chestnut. Buhler himself states in the CD digipak “can pop hits grow up to be jazz standards?” and that’s the difference: here is someone who is taking cherished songs and showing that maturity and age is a good thing. Buhler and the musicians on the album (Paul Kreibich on drums, Chris Conner on bass, Jamie Findlay on guitar, Karen Hammack on piano, Brian Atkinson on vibes, Dan Barrett on trombone, and Lee Thornburg on trumpet and flugelhorn) are top-notch, with most of them doing incredible session work over the years. Now they help Buhler fulfill his mission. 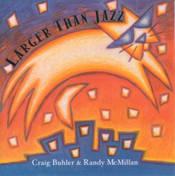 If it’s “large” jazz you’re lookin’ for, Craig’s got it for you in spades on this grand CD… rather uniquely, at that… “pop” hits jazzified. What is SO unique about the arrangements on this is that they don’t come across as “cheeze” at ALL, as do so many efforts like this do! One reason for that, I suspect, is that Buhler’s plays in a “take no prisoners” style, yet maintains (totally) the flavor of the original… full of spirit and the kind of jump that will make even a dead man get on up & dance. If you’re not sure you trust my word on that, you’d better take a listen to his masterful treatment of “Eleanor Rigby”… you’ll hear what I’m talkin’ about right away – absolutely cool, but not sappy, or “smooth” – in the least! For those readers in the same age zone as I am (baby boomers, indeed), this will be a genuine treat, but with the power group of players Craig has assembled here, I’ve no doubt this will be infectious for listeners all the way from 9 to 90. My definite FAVORITE track was (believe it or not) a Gordon Lightfoot tune called “If You Could Read My Mind” – so jam-packed full of emotional hooks that you’ll listen through over & over again! An even dozen tunes that will thrill you to the marrow, & make you agree (without any doubt) that this is MOST HIGHLY RECOMMENDED! There’s been a trend recently of jazz albums [arriving at this website] covering pop music classics and drilling down for some new nuggets of meaning in radio friendly tunes. Craig Buhler’s new album Skykomish is the latest of these, taking a couple of excellent self-penned instrumentals, Roll Over Redmond and Skykomish Shuffle, and then adding a new sheen of brilliance to pop, movie and show tunes such as What A Fool Believes, Eleanor Rigby, Creepin’, Oh Happy Day, Save The Best For Last and Flash Dance amongst the dozen tracks on this album. Craig Buhler is a reeds player [sax and clarinet], and can certainly play a very fruity sounding sax as on Roll Over Redmond. Leading an octet of experienced musicians, this album has a very full sound, bright and punchy, it swings hard at times but pulls back on the throttle for the mellow ballads. The material on this album is reminiscent of what the BBC Big Band plays on their radio shows [that is a compliment, by the way] here in the UK – and this is one very easy on the ear album that should appeal to even non jazz fans. But it should appeal even more to all jazz aficionados who enjoy a blasting band and a great tune. And finally, the good humour coming out of the loudspeakers will lift the saddest of spirits, and for that reason this is a highly recommended album. Buy it, you won’t regret it. West coast cool as filtered through the Seattle jazz scene, the sax man goes for a club style cover record that let’s his playing speak for itself on songs your ears know well. Up for the task of putting the playing out front on familiar pop tunes that you would spot the mistakes on, Buhler and his crew don’t make any mistakes and just deliver the good vibes. It speaks to the depth of his chops that he can put Gordon Lightfoot and “Flashdance” on the same disc and make it all work so well. 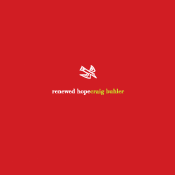 Souls may stir at the sound of Craig Buhler in his latest release. A complex mix of powerful pop songs re-imagined within a jazz perspective, the songs on “Skykomish” provide a fascinating array of sound. It is tempting to refer to Buhler as a saxophonist, but at times he seems to be able to inspire magic with the use of a clarinet as well. Most likely, the proper label for this type of talent is a versatile reed player with an ear for beauty and a swinging set of hands. Those in touch with a jazz background or a pop temperament would do well to step into itunes and check out this record. The power of these original compositions is found in their familiar frames. Putting together tracks composed of songs by the Doobie Brothers, Beatles, Stevie Wonder and Foreigner, Buhler reaches new heights with melodies that have already caught the attention of the mainstream world. Particular highlights can be found in “When You Believe,” “Save the Best for Last,” “Flash Dance (What a Feeling),” “Oh Happy Day,” and especially the inspired composition of “Eleanor Rigby.” Within the structure of these songs, Buhler flies beyond the expectations of the mainstream ear into a realm of inspiration and joy.